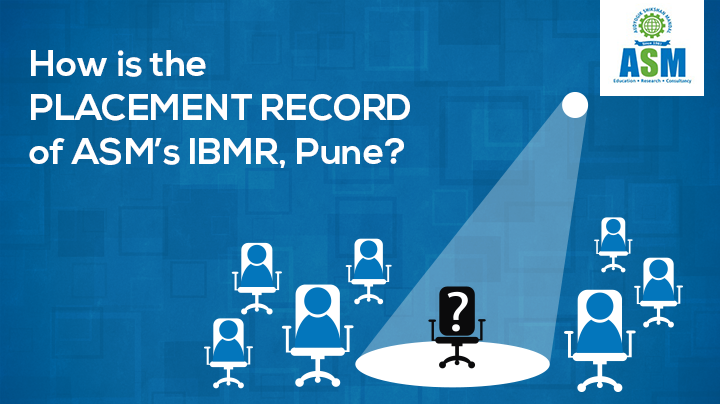 How is the Placement Record of ASM’s IBMR, Pune? Nowadays, every aspirant considers placement as one of the most important criteria to shortlist any college for his/her studies. Each one of them wishes to enrol in such a college that can help them get placed and secure their dream job. But we would suggest that you shouldn’t consider only placement as the criteria to shortlist any college, as your learning performance and confidence also play a vital role in getting you placed. Further, it’s the task of your college to invite companies and create ample opportunities for placements. When it comes to placement ASM’s IBMR, Pune is the one of best colleges to enrol with. Eager to know how? Then read on. ASM’s IBMR is not just focused on providing degree and certification, rather they have an aim to introduce every student into the industry. They groom the students to be global managers and be aware of every prevailing trend in the industry. Also they we have taken various initiatives for achieving the same. They offer live projects and internship (summer and winter) through corporate tie ups all over India and abroad. Students are given opportunities to exchange their ideas and interact with leaders of the industry. Study visits are organised to prominent places such as Chambers of Commerce of in India and abroad, etc. VIP: Students are great in communication. Campus recruitment is well managed by placement team. ASM’s Institute of Business Management and Research (IBMR)is growing fast and offering ample opportunities to the students. To know more you can visit http://www.asmibmr.edu.in. How are The Placements at ASM Group of Institutes?